Created, designed, and built by Nikolai Zykov in 1983. Materials: papier-mache, foam plastic, foam rubber, wood, metal wire, fabric, natural candles. First presentation - October 27, 1983, Concert Hall of the Moscow Aviation University. 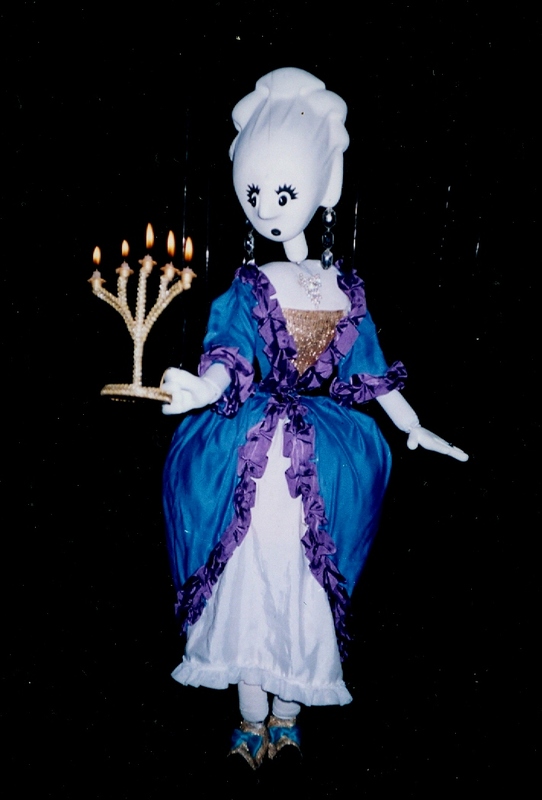 BAROQUE VIGNETTE - ancient minuet dance of string marionette, which lights and blows out real candles. See PHOTO ALBUM of BAROQUE VIGNETTE.